he P&E Wing’s 12th annual celebration will take place on Feb. 6, 2019 in Los Angeles, Calif. as part of GRAMMY Week, which culminates with Music’s Biggest Night, the 61st GRAMMY Awards on Feb. 10. In addition to honoring Nelson, the event also acknowledges the industry contributions of the Wing’s more than 6,400 professional members. Nelson is a musical force to be reckoned with, a living legend who has released more than 200 albums over his six-decade career, a true leader in outlaw country music, and the larger genre as a whole. He has made an impact in the music industry as a songwriter, performer and collaborator, and in the larger world as an author, actor and activist. He has always used his platform to speak his mind and make a positive impact on those around him, such as with Farm Aid, an annual charity concert he co-founded in 1985 to support family farmers. To date he has won eight GRAMMYs, taking home his first at the 18th GRAMMY Awards in 1975 for Best Male Country Vocal Performance for his breakout hit “Blue Eyes Crying In The Rain,” from Red Headed Stranger. The album was inducted into the GRAMMY Hall of Fame in 2002, followed by several more of Nelson’s recordings. Over the years he has been recognized by the Recording Academy on multiple other occasions, receiving the President’s Merit Award in 1986, the GRAMMY Legend Award in 1990 and the Lifetime Achievement Award in 2000. 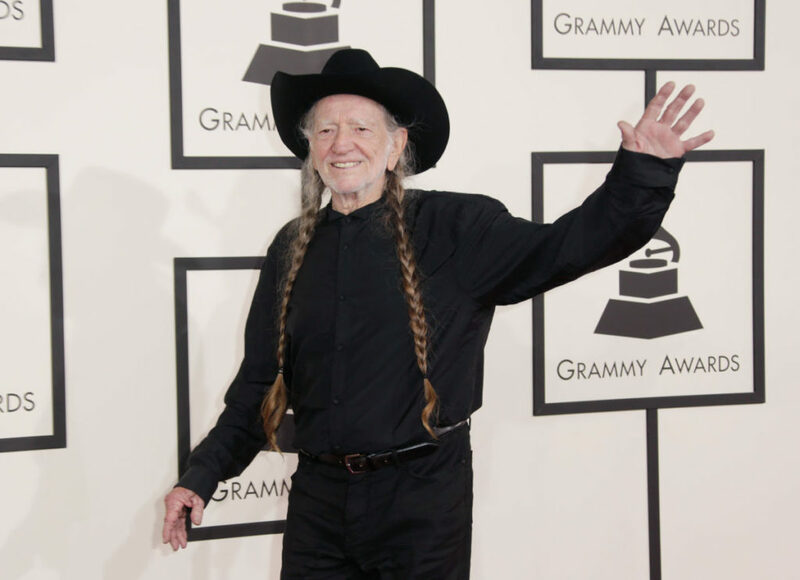 “Willie Nelson has inspired generations of musicians and fans, and continues to set precedents of excellence within the music community,” added Recording Academy President/CEO Neil Portnow. In 2018 the P&E Wing honored power couple Alicia Keys and Swizz Beatz. Prior honorees include Jack White, Rick Rubin, Nile Rodgers and Neil Young. This entry was posted on Wednesday, February 6th, 2019 at 8:09 pm and is filed under Awards and Honors. You can follow any responses to this entry through the RSS 2.0 feed. You can leave a response, or trackback from your own site.